Rural residents in West Sussex are being urged to have their say on policing, crime and anti-social behaviour (ASB) in the countryside. 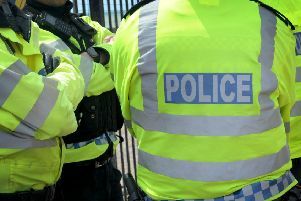 Locals in the Horsham, South Downs and Mid Sussex areas can take part in the largest ever survey into policing in rural areas as the deadline looms. The survey is calling for people to have their say on the impact of crime and ASB on communities, how the police can better serve rural communities and ultimately the future of crime prevention and rural policing. Open to those living, working or with an interest in rural areas across England, Wales and Northern Ireland, the survey, which has already attracted more than 11,000 responses, explores how crime and the threat of crime affects individuals, both financially and emotionally. Julia Mulligan is the chair of the National Rural Crime Network (NRCN) and North Yorkshire’s Police and Crime Commissioner. She said: “We commissioned this survey to help build a more comprehensive picture of what a widespread but often misunderstood issue countryside crime can be and it is important that as many people as possible have their say on this matter in order to inform future policing resources. “Too often, crimes in rural areas go unreported which can lead to under resourcing and lack of confidence in local forces. The NRCN is supported by 30 Police and Crime Commissioners and police forces across England and Wales. The network, established in July 2014, includes a wide range of organisations with an interest in community safety and rural affairs such as the National Farmers Union, Historic England, Neighbourhood Watch and Crimestoppers. The survey will be open until Wednesday June 24.